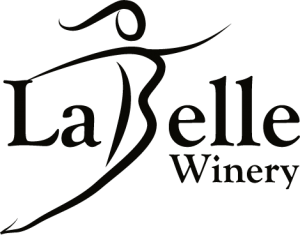 Learn about “THE PATH TO A PLAY” at a Free Family February event on Wednesday Feb 20, 6-8pm at the Labelle Winery & Event Center. The audience will hear about the “Page to Stage” process and meet the creative team including; Creator/Playwright Maryann Cocca-Leffler, Co-Adapter/Director Toby Tarnow, Composer/Lyricist Andrew Cass, and NYC Musician/Composer Premik Russell Tubbs, as well as others involved in bringing Princess K.I.M. The Musical to the stage. 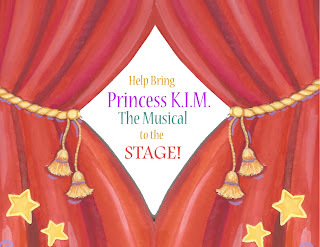 The NH debut performance of Princess K.I.M. The Musical will at the Amato Center for the Performing Arts in Milford, NH on Oct 3-6, 2013. Open Auditions for this production will be held May 31 and June 1. This Free Family Event includes; an entertaining presentation, book reading, and a debut performance of selected songs by our talented songwriter/composer Andrew Cass and composer Premik Russell Tubbs. 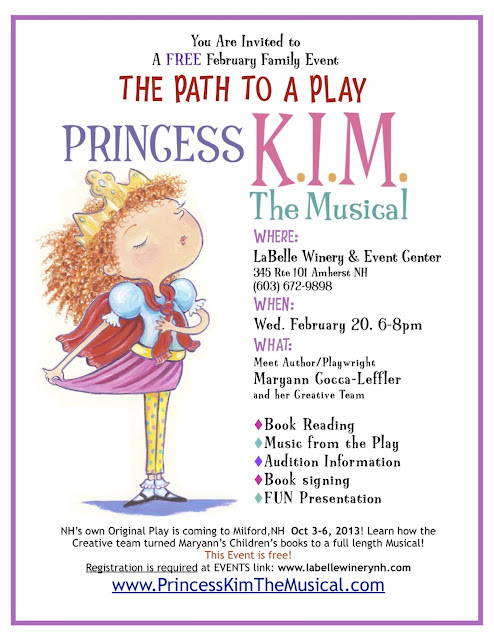 There will also be a book signing as well as a raffle for play tickets and autographed books. 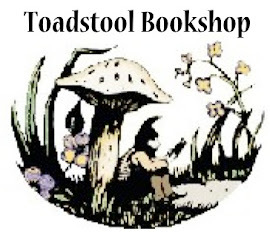 (Toadstool Bookshop will be on hand for the purchase of Maryann’s Princess KIM books, as well as her brand new book, A Vacation for Pooch, among others.) 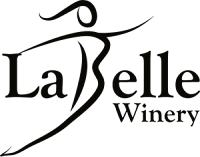 A cash bar will be available including soft drinks and hot cocoa as well as sampling/purchase of "Totally Awesome Gourmet Popcorn" from NH's own Michelle's Sweet Shoppe. 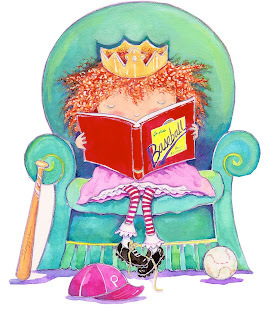 Princess K.I.M. The Musical was the winner of the 2012 National New Play Festival at the Caryl Crane Youth Theater in Huron, Ohio. The play will open the 2013 New Play Festival with a full production in Ohio on April 25-26, 2013. Register today! We can't wait to see you there! Maryann, Toby, Andrew, Premik and the entire Production team! 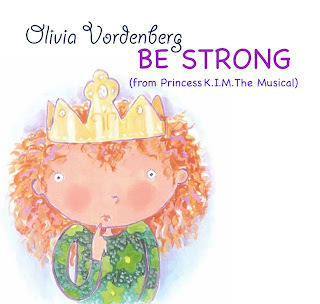 Thanks to our talented actors; Lily Ayotte, Mitchell Jacobs, Lucy Stover, Abby Kirk, Helen St. Cyr, Ben Wesenburg, Jack Kane, Emily Marie Coffey, Meghan McKnight, Ethan Reeves, Kevin Linkroum, Olivia Vordenburg & Ellen Cunis. 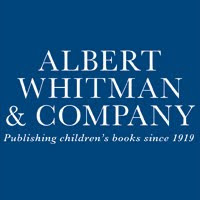 We hope to see all of you at our open auditions on May 31-Jun1, 2013 for our New Hampshire Production to be held in October at the Amato Center for the performing Arts in Milford. 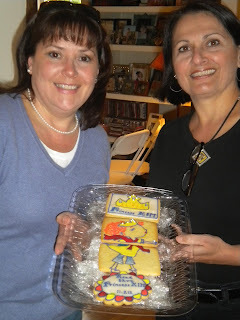 Rita Piotrowski's cousin surprised us with Princess KIM cookies! Toby, Michelle & Maryann taking notes. Opening Weekend for our New Hampshire production is one year from today! To many, a year is ages away- but not when you are producing a play. Opening Night, (Oct 3, 2013) will come quickly. 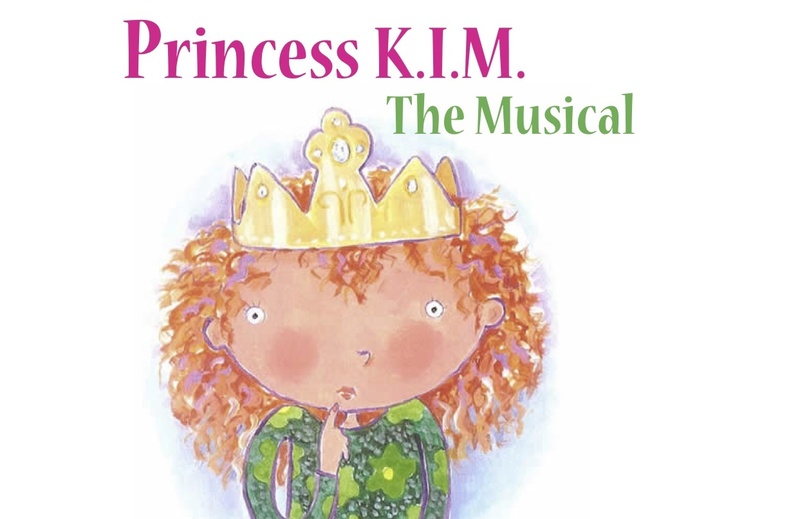 We have a lot to do to make the New Hampshire production of Princess K.I.M. The Musical SHINE! Our planning meetings have already begun. Andrew & Toby finalizing the Finale! Peg & Maryann planning promotion strategy. 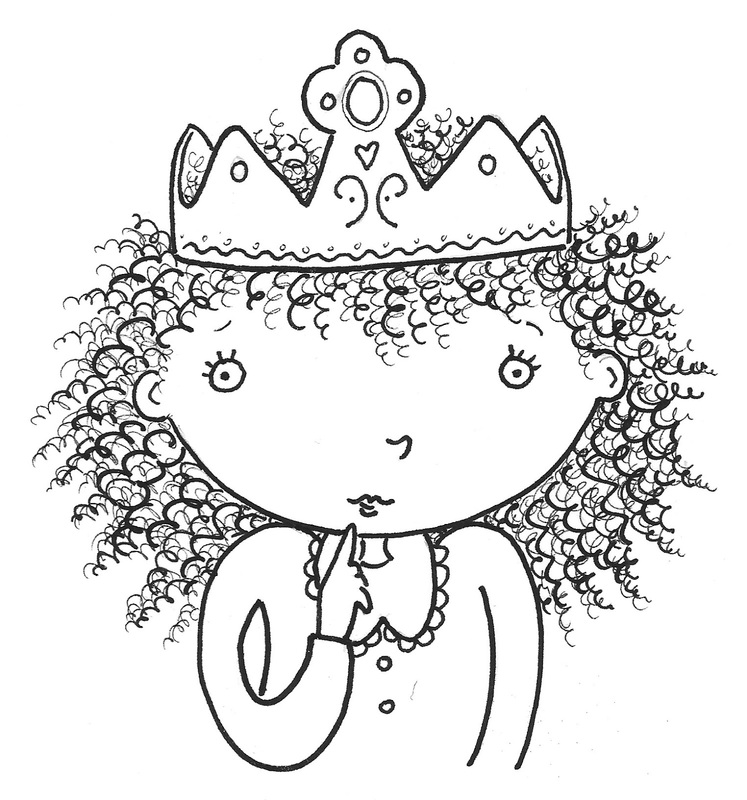 Please continue to follow our progress...and help spread the word about Princess K.I.M. The Musical. 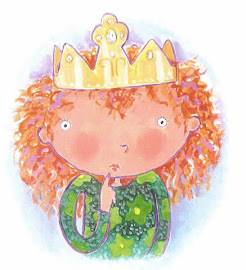 It's time for some Princess K.I.M. 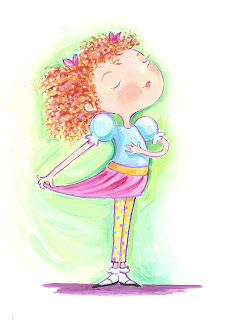 updates: We are preparing for an exciting year with two scheduled productions in 2013, (Ohio & NH). The Ohio production is set for April 25-26, 2013 at the Caryl Crane Children's Theater in Huron, Ohio. 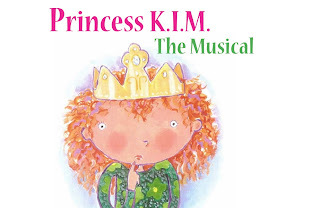 As winners of the 2012 New Play Festival, Princess K.I.M. The Musical will open the 2013 Festival. Our play will be produced by a very talented team in Ohio. We will proudly attend! This summer we have gathered a great team for our October 2013 production in New Hampshire. We are thrilled to have lined up a music director, choreographer, costume designer, light, sound and set designers as well as an assistant producer and promotion team. The talented Toby Tarnow will be directing and I will be producing (as well as wearing many other hats!) I will soon post bios of the team. Premik & Andrew busy scoring. Premik and Andrew have worked very hard all summer on our Vocal/Piano Book. They have also added a few new songs and are creating the Overture. I am in awe of their talent. All the best & more! PS-Auditions are in MAY. More on that later! I want to publicly thank Mr. Ronald M. Ruble, Brian Marshall, the judges and the entire board of the Caryl Crane Children's Theater as well as director Pierre Brault and the cast for giving us the opportunity to have our play staged at your New Play Festival. We are thrilled to have been chosen as the winner and we look forward to the full production in 2013 in Huron, OH! 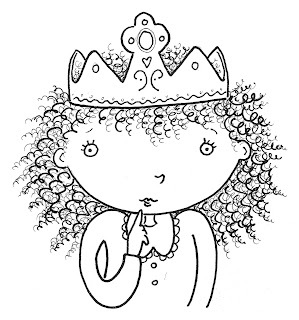 The purpose of a New Play stage reading is to help launch a new play into the world. This stage reading at the Caryl Crane Theater was a valuable first step for us, and this experience will help us fine tune the play and its music, and discover what needs to tweaked and enhanced. Thank you for providing the venue to help us share our play with a live audience. I observed the audience...they laughed at all the right places, applauded loudly and seemed to be enthralled throughout, but the faces of the children convinced me that we have something special to offer the children's theater world. Thank you! 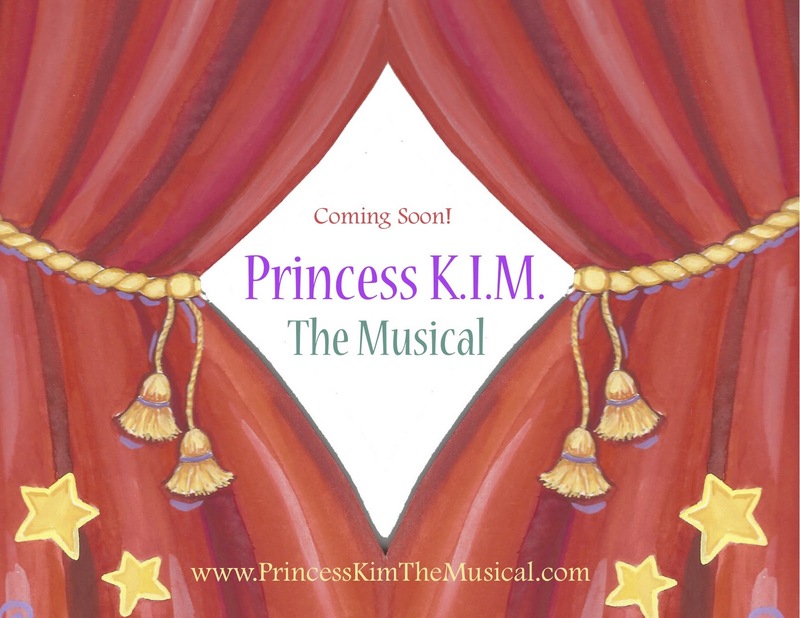 It is only the beginning for Princess K.I.M. We look forward to sharing our play with the world! I also want to thank the many theater volunteers, parents and support staff who helped behind the scenes. 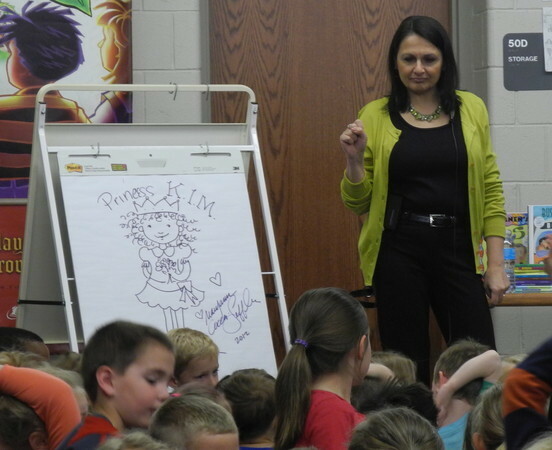 A special thanks to several families (who I recently met at my school visits in Michigan) who bravely made the trip to see my play! Here is the OFFICIAL ANNOUNCEMENT! The Twitter page is up. Please follow us! Our handle is @PrincessKimPlay. Simply click and join the conversation on the twitter reel to the left. A Facebook Fan Page is up! Be sure to "LIKE" & "SHARE" us to stay up-to-date and help us spread the word. 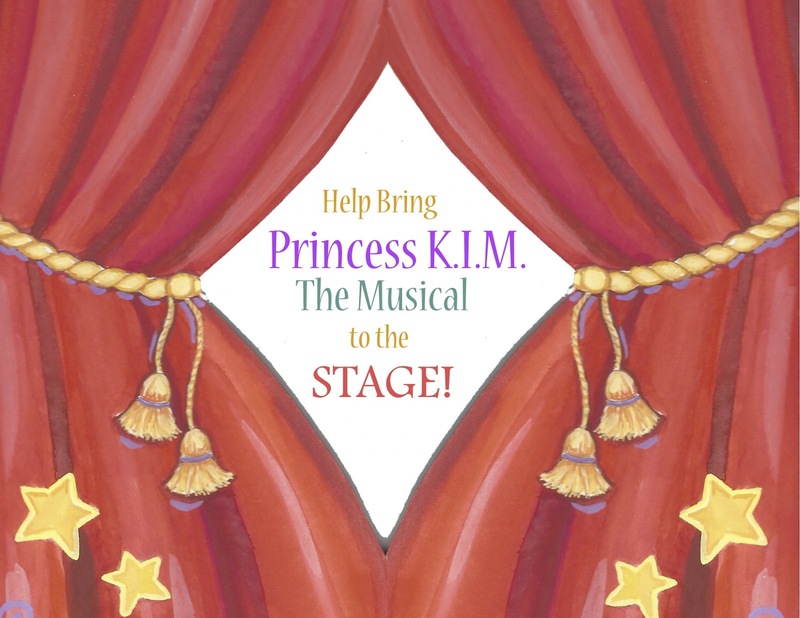 To find the page, click the Facebook Logo on left or type "Princess K.I.M.The Musical" in the search queue at the top of your facebook main page. KICKSTARTER APPROVED. Our project was approved by Kickstarter.com a funding site for creative projects. Please look for links soon. Do you work for a theatre company and want to get on our mailing list? If so, please contact me and I will add you to our database. 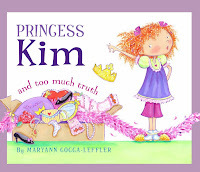 Are you interested in getting more information about Princess K.I.M. The Musical? If so, please contact me with your contact information and we will add you to our general information mailing list. The script, music and lyrics are complete! Today is a big day- we are sending our "Baby" out in the world...to an Artistic Director of a Professional Theater for consideration as well as submitting our play to a New Play Festival in Ohio. 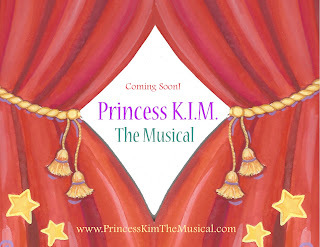 This year has flown by and we now have an amazing play, Princess Kim the Musical along with 18 original songs! We have attracted a fabulous international composer/arranger, Premik Russell Tubbs, who is writing the score and composing instrumentals; we have interest from a local professional theater to consider it for production in 2013 as well as interest from an International Rights Organization to license the play! 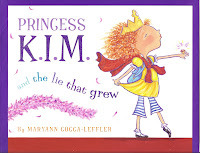 In 2010, when Maryann asked if I would be interested in working with her to adapt her two published children’s books, Princess Kim and the Lie that Grew & Princess Kim and Too Much Truth, I immediately said “yes”! I met Maryann at the Boys & Girls Club in Milford, NH where her daughter Janine was an apprentice in my first Creative Drama Theater Camp in 2006. We instantly realized we have an amazing creative rapport and when I introduced Andrew Cass as composer to our creative team we were off and running! With Maryann’s driving focus we have created, not just one musical, but two! When she was advised that a short Junior Version would be beneficial to the licensing process, we created one! Every time we meet it is a love-in of creative energy. There is respect, expertise and trust on all levels and the play we have created illustrates and contains that same energy! We are looking forward to sharing it with you!